The Ultimate “Homeopathy Didn’t Work for Me!” Troubleshoot-Guide! Don’t Give up on Homeopathy’s Powerful Possibilities for Your Life! Homeopathy is as complex as it is powerful. It is a very misunderstood system of medicine which gets a bad rap (“ineffective”…”dangerous”) when used improperly by a large number of people. However, when done properly, in a systematic fashion of trial and error, homeopathy can have dramatic effects on not only the patient but generations to come within the patient’s family. I have watched homeopathy completely alter the lives, for the better, of friends, family, my patients, and their families. Homeopathy oftentimes offers hope and healing when nothing else has worked. Yet there are situations where it takes a little more digging…a little more research…a little more trial and error, to get the patient onto the path of healing. 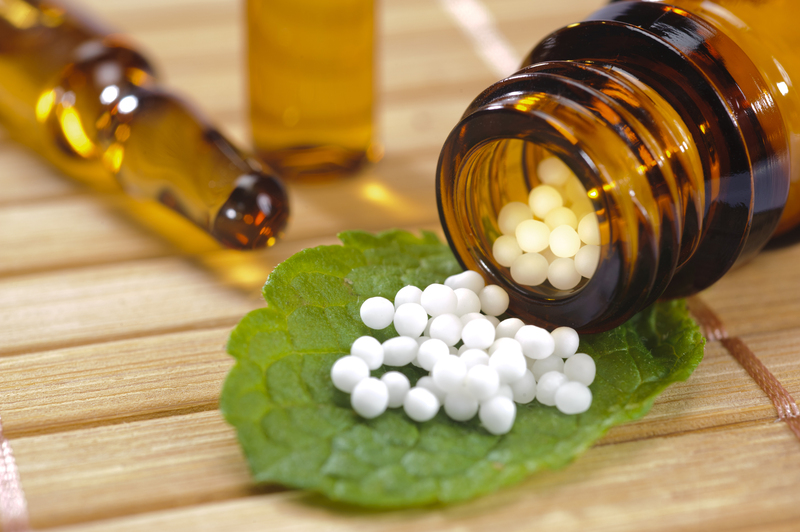 In this article I offer 11 reasons and situations why and when homeopathic medicine may not work immediately, so that you and your homeopath can troubleshoot and get moving forward toward wellness! 1. The right homeopath was not hired. While effective homeopathic practice doesn’t require that the practitioner know everything about your disease state. there are homeopaths who specialize in certain conditions. They may have received special training, as I did in Autism, PANDAS, Lyme Disease, and other pediatric conditions. Or they may not have received special training, however they happen to have a large number of clients in their caseload with the same condition. Specializing in certain conditions allows practitioners to spot unique trends in healing this condition (perhaps they or their children suffered and recovered from this condition themselves). Due to the growing number of practitioners around the world who now see patients over Skype or other video platforms, if your condition is complex, there is no reason to settle for a practitioner who has very little, or no, unique insight into your condition, the way in which it affects the dynamics in your home, the nature of urgency your condition may have, the common roadblocks that may arise, or the general path the healing process usually takes. If you cannot find a homeopath who specializes in your condition, seek a homeopath who practices in a way (some a little more conservatively than others) which resonates with you! But I highly advise not opening “pandora’s box” with an untrained practitioner (for example a practitioner who went through a weekend certification program and now is treating chronic healthcare conditions with homeopathic remedies). Once remedies are prescribed, you are put on a path of lifting layers of illness which need to be addressed properly. Make sure your homeopath is competent enough to address the layers that arise. A homeopath should show that they have at least several years of training under his or her belt and should have a mentor they can call on for tough cases. 2. A homeopath was not used at all. And what if you heard that someone had great results from “remedy x” for “condition y” and you try their remedy and it doesn’t work? Or you go to the health food store and try a homeopathic remedy for an acute situation and it doesn’t work? 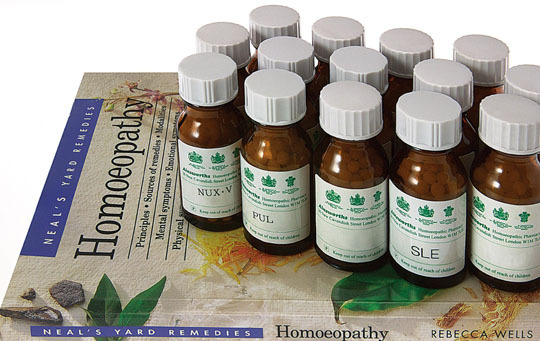 There are 5000 homeopathic remedies to choose from. This remedy may not be the one your unique presentation of the illness calls for. And to be quite honest, it can be dangerous to self-treat a chronic illness (again, “layers” may be brought up which you would not have the skill set to address). Treating a chronic illness with homeopathy requires a long and detailed consultation in order to find the right remedy or remedies. For any given condition, there could be 100, or even 1000, different remedies that could potentially help the “diagnosis”, but only a few of them will fit your particular symptom picture. In the case of acute situations, this is easier to narrow down (especially when you have a homeopathic kit on hand and a book giving guidance for various acute situations). But in the case of a chronic condition, this requires anywhere from 1-3 hours with a practitioner who knows just how to draw out the right information necessary to properly analyze the case. This includes very detailed mental, emotional, and physical features, along with a detailed health history timeline of the patient. Only then can the practitioner narrow down just the right remedy (or remedies) which will stimulate the mind and body to heal itself. 3. The first constitutional remedy was not exactly the right one. What if you did hire a homeopath and the remedy chosen did nothing? It is possible that not enough information was given during the consult. It is possible that the case is so complex that the practitioner sees multiple layers which need to be treated and he/she may have chosen the wrong layer to start with (and now needs to go back and target a different layer, which may become more obvious at a follow-up appt). When the wrong layer is targeted first, there can either be a non-response, or there can be a partial response (only a few of the symptoms have been relieved) OR the symptom picture can change entirely to really highlight the layer which should have been treated first (while this can be uncomfortable to experience, sometimes this is a good thing so that the practitioner can now see very clearly which symptoms are asking to be recognized and targeted now). Furthermore, the homeopath may have chosen the right remedy, however there may be a block in the case history that needs to be addressed before this remedy will work in beginning to resolve the case. 4. The potency or frequency of dosing of the remedy was too low and slow. Dosing (potency and frequency of dosing) is an extremely important determinant of the efficacy of the right remedy. Many homeopaths are trained to start the potency and frequency of the remedy quite low and slow, in order to avoid an aggravation (an initial heightening of symptoms, followed by an improvement of symptoms above baseline). In some cases, such as individuals who are quite sensitive to healing modalities (or have a life-threatening illness which could flare with an aggravation), it is important to start the potencies lower. However, there are other cases which will not be impacted very much without the introduction of a high potency remedy early on. It takes a skilled practitioner to know which case is which. If a practitioner starts a case at a low potency and frequency, and minimal or no effect is seen, it could be that the practitioner did indeed start too low, or the patient will have to be patient with the few results he/she is seeing and trust in the process, knowing that the higher, more impactful potencies are coming when the time is right! 5. The remedies were “antidoted”. Some people are more easily antidoted than others, and some remedies are more easily antidoted than others (you could ask your practitioner about your remedies in particular). Even another homeopathic remedy can antidote a remedy you took earlier (if it is a known antidote to your remedy). 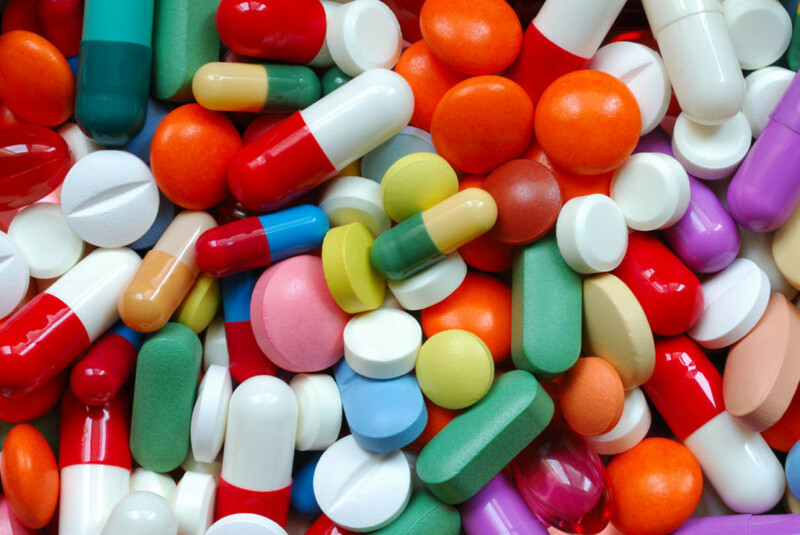 If you suspect your remedy has been antidoted, contact your practitioner and ask about re-dosing your remedy. 6. A “symptom shift” was addressed with conventional medications or other “suppressive” therapies. This is an area in which I wish more patients were better educated! First, understand that a trained homeopath is going to be targeting the deepest layers of illness for treatment. So lets say you are suffering from anxiety AND a heart condition, the homeopath is going to take each feature into consideration when selecting your remedies, however, the most important feature to be targeted and addressed right away is the deepest feature. The deepest features are almost always those that occur on the mental and emotional planes. So in the case of anxiety and a heart condition, when the anxiety is targeted, the heart condition may be alleviated immensely, however the symptoms may move in an “outward” fashion. So the patient may now experience a skin rash or infection, instead of heart symptoms. This is the direction of cure we want to see in the patient. However, if the patient then runs out to get a topical steroid or an antibiotic, this treatment may then push the symptom picture back inward. Perhaps back to the heart, or to another organ. When taking a homeopathic medicine and the symptom picture moves outward (except in the case of emergencies, of course), it is important to contact your homeopath to let him know your symptom picture has changed. She/he may be able to make an adjustment in dosing of the remedies you already have, or she may decide that your remedies need to be changed altogether (or that nothing at all should be done and patience is the key for further progress). 7. The remedy wasn’t given enough time. There is not much explaining to do here. But it always baffles me why someone would hire a homeopath and give it a week, a month, two months and then quit. Even when seeing subtle improvements! No system of medicine can offer an overnight cure to every patient, and especially a system of medicine which seeks to actually heal from the core, not just manage symptoms. There are many factors which came about when the illness developed and there are many factors which need to be addressed and considered to lead one out of sickness. Give it some time! 8. The “maintaining cause” of the illness has not been addressed. What is a maintaining cause? This is something which is blocking you from reaching your full potential…in health and in life, in general. This could be an emotional environment which is draining you of your energy and vitality (which is exactly what homeopathy seeks to enhance), this could be ongoing financial issues, a dysfunctional romantic relationship, a poor diet, lack of exercise, a medication causing side effects, or even just a chronic lack of sleep. Yes, homeopathy can still help. But it will only get you so far, at some point it will ask you to take the reigns and make some decisions about your life before it can procede any further. And what if you are not able to make changes at this time? Well, really ask yourself, what is causing you to hold back from making changes? Fear? Address those fears. Ask your homeopath to help you address those fears (these can be included in the selection of a constitutional remedy), ask a therapist to help you address those fears. My point is that homeopathy and good decision making go hand in hand. One helps the other. Homeopathic remedies can help you to seek the courage and strength to make wise choices. And making wise choices can help to open the way for homeopathic remedies to reach deeper for true healing! …homeopathy and good decision making go hand in hand. One helps the other. Homeopathic remedies can help you to seek the courage and strength to make wise choices. And making wise choices can help to open the way for homeopathic remedies to reach deeper for true healing! 9. Victim mentality or attachment to illness as an identity is blocking healing. There are many reasons why one would attach to an illness as their identity. There are even people who attach to their child’s illness as an identity. Attaching to an illness, even allowing it to have a label, can be big blocks to cure. It means the patient is not ready to let it go. He is getting some deep need met with the illness that he feels he cannot get elsewhere. Maybe his illness is protecting him (I won’t have to spend time with my family if I have back pain every weekend…I won’t have to spend time with my husband if I have frequent migraines…I won’t have to attend work if I get injured and my injury does not heal in a reasonable amount of time…my obesity protects me from love, which is scary and includes too much risk of loss…and the list goes on). Maybe a patient’s illness is attracting pity and attention. Maybe it is allowing him to make friends through a support group or by joining a “cause”. Maybe it is allowing him to play the victim role so that he does not have to look at how his own actions or inactions have landed him in poor health. If you think any of these factors are at play, consider how you can release this mentality or attachment to illness, if and when you are ready! 10. Society-induced fear and beliefs about your illness have blocked healing. Don’t let a diagnosis and prognosis steal your faith in your body’s ability to heal itself! 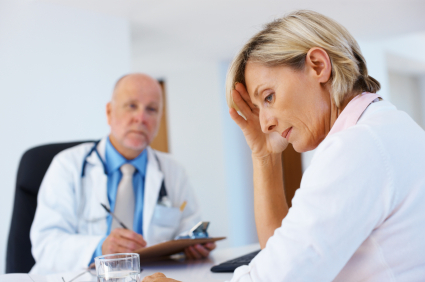 When a patient goes to a medical doctor with a list of symptoms, he is given a diagnosis and a prognosis. These are just labels and beliefs. These labels and beliefs are based on one, relatively recently-formed, system of medicine (conventional medicine has not been around that long and it has a very poor track record of curing chronic illnesses). The diagnosis and prognosis are based on conventional medicine’s limited view and experience of this illness. But consider the fact that all over the world, people take these illnesses to other systems of medicine and their experience with this illness is far different…oftentimes far improved, if not completely cured. Here in the west we call this a “miracle cure”. But is it really? It was the body healing itself with assistance from nature. The body can heal itself and this is a belief and fact that is ignored and denied in conventional medicine. As long as you “buy into” this belief, you are allowing conventional medicine to create your reality for you through fear. Fear can do a lot to get in the way of a good healing response (or keep you altogether tied to conventional medicine which can also block a good healing response, see #6). 11. There is a “block” in the case from somewhere in your health history, or that of your ancestors. In homeopathy we call ancestral blocks “miasms”. These are 10 categories of susceptibility or energetic imprints on our vital force which have been passed down from our parents or even generations before them. A homeopath can detect which miasm (or miasms) are in effect in your case and seek to unblock it with the right constitutional remedy. Furthermore, there may have been an incident in your own history which has come to the surface to be healed. This could be an emotional or physical trauma, such as an accident, a medication or vaccine reaction, or even an infection which caused permanent damage to your mental, emotional, or physical state. In the case of many of my pediatric patients, this could even be due to something which occurred while in the womb or due to the emotional state of the mother while in the womb. Either way, the homeopath may need time to identify blocks and, through trial and error, seek to clear them with different homeopathic remedies. Give Homeopathy a Chance to Show You What it Can do for You! As you can see, some cases can be a bit more complex, a puzzle if you will, for a homeopath to resolve. But the combination of a determined homeopath and a determined patient can bring about miraculous results in the end! Give it the old “college try” and see what it can do for you!